Any physician may submit a question regarding a thyroid patient to ldegroot@earthlink.net and one of our panel of expert thyroidologists will attempt to provide an answer as soon as possible by return Email. Physicians should provide adequate clinical information about the problem, and provide their name, office address, and telephone number. We will send an answer by Email to the address provided, and will publish the question and the response on this page. The name of the questioning physician WILL be published unless specific instruction not to do so is provided in the original Email. This service is available only to physicians. Please note that Thyroidologists who hold opinions that differ from the advice we have offered are welcome to send in responses, and we will publish these comments. Commentators should kindly include name, office address, and Email address. To read questions from patients click here. MANAGING NIFTP - ENCAPSULATED NODULE WIIH NUCLEAR FEATURES COMPATIBLE WITH PAPILLARY THYROID CANCER BUT LACKING CAPSULE INVASION. QUESTION--Can you please help us with this case of a 15 y/o Male. He also has RHD. Whole body scan ( sept 1, 2016 residual tracer avid remnants in the anterior neck. No evidence of distant tracer avid mets. TG ab 7.49 1u/ml. TG > 500 ng/ ml. We're scheduling him for Rai. Sir Is there an existing RAI-131 dosing guide in pediatric patients . Fast S, et al. Long-term efficacy of modified-release recombinant human thyrotropin augmented radioiodine therapy for benign multinodular goiter: results from a multicenter, international, randomized, placebo-controlled, dose-selection study. Thyroid. 2014 , 24(4):727-35. doi: 10.1089/thy. 2013.0370. Epub 2014. Graf H. Recombinant human TSH and radioactive iodine therapy in the management of benign multinodular goiter. Eur J Endocrinol. 2015, 172(2):R47-52. doi: 10.1530/EJE-14-0608. Epub 2014. Review. QUESTION-I will appreciate for help in another patient who is a neurosurgeon, had RAI for graves disease in 2009. He has been on levothyroxine since then but for last 6-8 months, he has been having episodes of dizziness and vertigo. He tend to have these symptoms when his TFT levels are in euthyroid range but feels extremely WELL when his TSH is high. His TFT are shown below. I checked his TSH with HAMA and it did not change. As you can see, in May 2014, when his TFT were normal, we had to admit him to hospital for his symptoms. His alpha subunit to TSH ratio is less than 1 when his TSH is 5.5 FT4 is 1.1 ad FT3 is 2.0 and alpha subunit is 0.5. MRI of pituitary has been done and is normal. Is it pituitary resistance to TH that he AQUIRED in 2013? RESPONSE-As you have correctly pointed out the Universal Salt Iodisation Program (USI) in India has had its “ups and downs” and there have been many reports in the literature of it not being as effective as one had hoped for. Indeed, in a very recent publication in Clinical Endocrinology by Marwaha et al ( Vol 76,905-910) it is clear that iodine deficiency remains prominent in India. In the study population of schoolchildren in Delhi 16.4% had goitre and 7.3% were hypothyroid. If you cannot access the article please let me know and I will send it to you. Dr Pandav from AAIMS informs me that current iodised salt coverage in India is only 71%, therefore one would expect to see persistence of endemic goitre and other manifestations of IDD. The current WHO/ICCIDD/UNICEF recommendation is that where USI coverage is not effective then pregnant women should be taking an iodine supplement of 150 ug per day. There is no recommendation for men or children to take a supplement. It is recommended that iodine intake should not exceed 500 ug per day. The normal iodine RDI for adults and children is 150 ug and for pregnant and breastfeeding women it should be 250 ug per day. Oral T4 Causing a Rash? Graves’ Disease in Pregancy and Atd Allergy, Possible Treatment? Hyperthyroidism and Increasing LFT Abnormalities, What Therapy? Graves, Exophthalmos, Mediastinal Mass, Heart Disease? Residual Papillary Cancer: RAI vs Surgery?? RAI Ablation in Stage 1 Papillary Thyroid Cancer? Use PTU After MMI Induced LFT Abnormalities? Thyroid Tissue in a Lateral Mass, with Thyroiditis; is It Cancer? Thyroid Patient with Asthma, Allergy to Carbimazole, Allery to Ptu? Thyroid Hormone Resistance Vs. TSH-oma? Nodules, Positive Antibodies, and Treatment? Add Recombinant TSH to Endogenous TSH for Ablation? Hyperthyroidism in Pregnancy; Cause and Treatment? What Condition Does This Person Suffer From? What to Do with an Incidental 1mm Papillary Cancer? 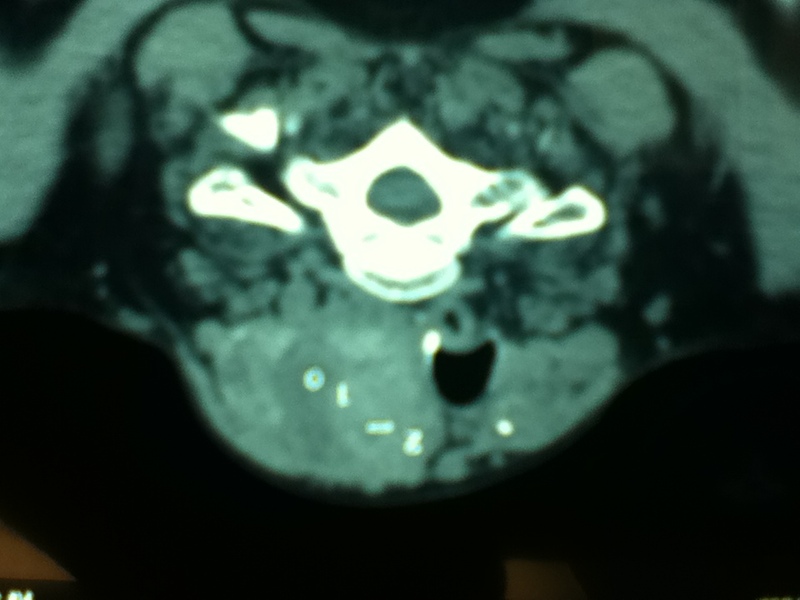 Therapy of Thyroid Cancer with Known Positive Neck Nodes, Elevated TG, and Negative Scan? When is a Pentagastrin Test Advised in Following MTC? How Long to Wait After Operation Before RAI Ablation? Do We Really Need to Do Both fT4 and TSH in Evaluating Patients? How to Manage Existing Hypothyroidism Perioperatively in a Patient NPO? How to Treat Sub-clinical Hypothyroidism? Does This Person Have Thyroid Hormone Resistance? Thyroid Cyst, What to Do?